The country’s third largest broadcast network, TV5 Network Inc., has signed a long-term partnership with global sports cable company ESPN, signaling its media focus to sports content, both parties announced on Thursday, October 12. “Our belief has always been the Filipino deserves the world’s best in sports programming and this drives us to be better in what we do. By competing in sports [content], it gives us a chance to compete against the giants in our [broadcasting] business. There is no way we can compete with them in other fields. But in sports, we have a chance to be number one,” TV5 President Vincent “Chot” Reyes said during his talk at the Internet and Mobile Marketing Association of the Philippines (IMMAP) Summit at the PICC Hall in Pasay City. 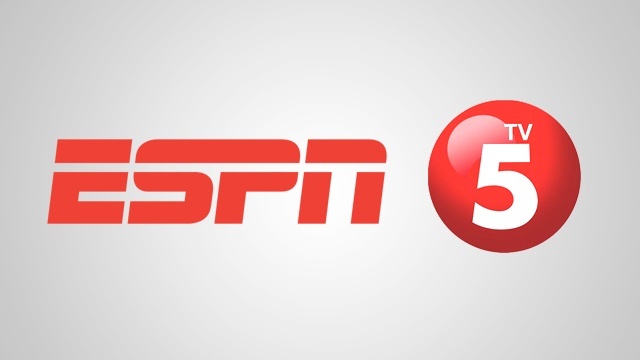 With the partnership, Sports 5 will be renamed ESPN 5 and will broadcast key content from ESPN, which includes American football coverage, US college basketball games, and some of the channel’s sports documentaries to name a few. These will be broadcast alongside TV5’s current sports content portfolio, including coverage of games in the following leagues: Philippine Basketball Association (PBA), International Basketball Federation (FIBA), mixed martial arts association Ultimate Fighting Championship (UFC) and local volleyball league Philippine SuperLiga (PSL). On top of TV broadcasting, ESPN 5 will also launch a co-branded website, a mobile application and an online content streaming service before yearend. The digital properties will feature game scores, real-time news and statistics, commentary and analysis. However, this is not the first time ESPN is being shown in the Philippines. STAR TV and FOX Networks Groups aired the channel on local cable TV for 19 years until they ended the partnership with ESPN in 2013. The channel was later rebranded as FOX Sports. TV5’s streamlined focus on sports content is unlike what the country’s leading television networks ABS-CBN Corp. and GMA Network, have focused on for decades: entertainment programs. Still, ABS-CBN Corp. has ABS Sports + Action channel, formerly Studio23, as its main platform for sports content. The channel airs selected University Athletic Association of the Philippines (UAAP) basketball and volleyball games and National Basketball Association (NBA) games. Since being acquired by PLDT’s MediaQuest in 2009, TV5 has constantly transformed and rebranded itself as it tries to compete with ABS-CBN and GMA Network. For a while, the MVP-led television network also produced TV shows, but later on focused on broadcasting key sports events, thus gaining traction among sports-loving Filipinos. “The worldwide leader in sports will soon be back so get ready Philippines. Sports 5 and ESPN [will bring] global sports to our country,” TV5 Chairman Manny Pangilinan said in a video introducing the new channel.